Self adhesive labels 60mm in size. Printed in full colour onto white label stock to fit either 60mm round, 60mm square labels or 60mm triangle labels. 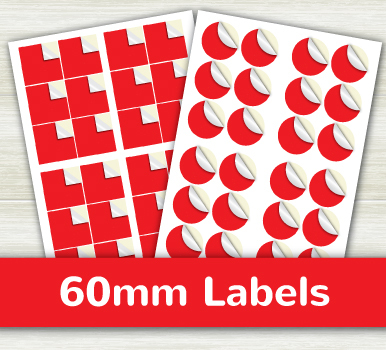 How would you like your 60mm Labels?